Network Security Software helps you install, maintain and secure your wired or wireless network by detecting threats on the network and coming from outside your network. Network security software from leading publishers such as McAfee and Symantec protects against hackers penetrating your network, or provide intrusion detection or anti spam. So you can protect every aspect of your company network with an internet security suite. 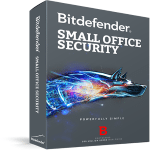 In this list we find the best 5 Best Small Office Antivirus Security 2015 services in the market based on the ease to use and efficacy of scan and protect your LAN, Save yourself some time and check this list out..
BitDefender Small Office Security secures business servers (file, Exchange, ISA and SharePoint) and workstations against the sophisticated threats of newly emerging malware and against attempts to steal confidential and valuable data. This set of integrated security solutions is designed to protect the users of Microsoft Small Business Servers Premium Edition and helps them comply with data security regulations without putting a strain on their limited IT budgets and human resources. Kaspersky Small Office Security includes antivirus, antispyware, anti-spam, and a personal firewall for your Windows or Linux Workstations. It also includes antivirus and antispyware protection for your Linux or Windows File Servers. You can protect any combination of 10 File Server or Workstations. Also include Internet Protection to secures your business against phishing attacks, and protection for Android Devices and online banking protection with Passward Mnager and encryption with online backup to secure and access your data everywhere. Worry Free Business Network Security Standard protects your small business and reputation against data theft, and risky websites. Trend Micro’s safer, smarter, simpler security blocks web-based threats and other malware. Protects your PCs, laptops and file servers. Worry-Free Location Awareness automatically changes laptop security settings as the computer moves from one location to the next. Blocks POP3 spam. Securing all your systems and users from today’s ever-changing threats is a real challenge. For your business to survive and thrive, you need an integrated solution, with centralized management that keeps your protection current all the time. 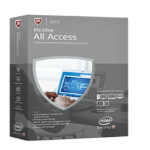 Centralized McAfee SecurityCenter management With McAfee Total Protection Service, your management worries are over. Through the web-based McAfee SecurityCenter-our easy-to-use management and reporting console-you have 24×7 access to a myriad of management tasks, from any web browser. Monitor your virus, spyware, spam, web security, and firewall protection. Configure your protection to control web browsing and scan for network vulnerabilities. View outdated machines and quickly remedied. Create user groups, set security policies, and customize dashboard widgets for better visibility. You can even print, download, or email infection reports for further analysis. 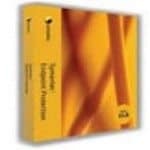 Symantec Endpoint Protection is my first choice and it’s our best Antivirus online scanner service, Symantec Endpoint Protection combines Symantec Antivirus with advanced threat prevention in a single agent delivering unmatched defense against malware for laptops, desktops and servers.